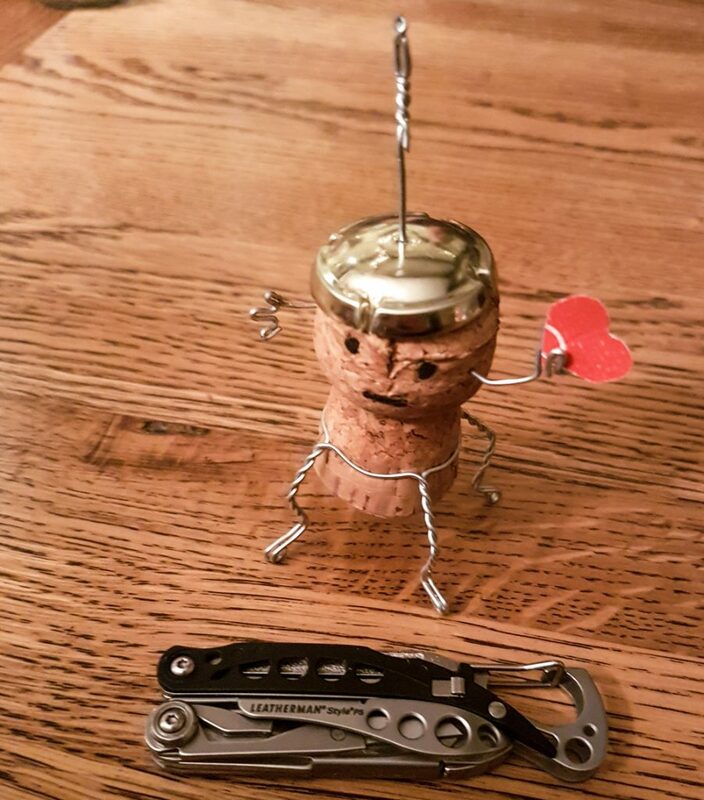 Always carry a multi-tool. I have this Leatherman Style PS on my keyring. 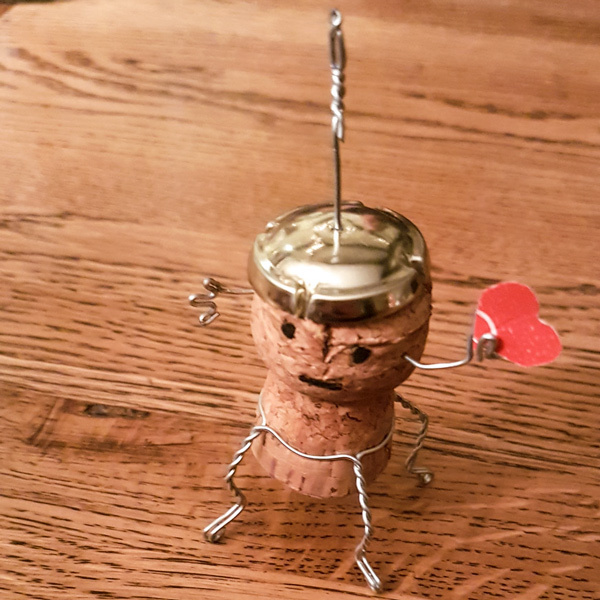 That way, when we are out for Sister-in-law’s birthday dinner I’m able to fashion the Prosecco cork into this Cork Robot. There is a pair of pliers for bending the wire and some wire snips to cut it to length There’s even a tiny pair of scissors which I used to cut out the heart from sugar packet. Ta daa!